Description - Fall in love again with carpet with Phenix Canal Street carpet. 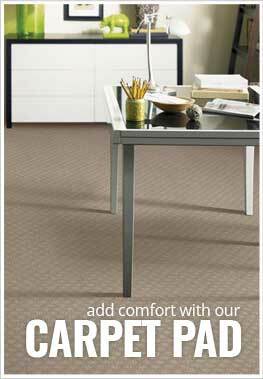 Soft and durable, this broadloom carpet will add warmth and comfort where installed. Easy to clean and maintain, this carpet is resistant to staining, soiling and pet urine making it the perfect floor for any family-on-the-go. Backed by a lifetime warranty, this carpet is available in several neutral tones that are certain to look great for many years to come. Face Weight - 53 oz./sq.yd. Recommended Uses - Phenix Canal Street carpet is great for any room in your home and is commonly found as flooring in living rooms, dining rooms, living rooms, family rooms, as basement flooring, in dens, as spare room flooring, and much more. Anti-static and pet urine resistant.